If you have a commercial water loss in Farmington, MO, SERVPRO of Farmington is the premier restoration company to help you from start to finish. Here is a typical guideline of what will be needed to perform to get your business back to pre loss condition. 1. Initial Assessment: This can include the initial walkthrough and determine what needs to be done from start to finish. Typically a scope of service will be written, a sketch of the affected areas, and gathering information. 2. Immediate Emergency Services: SERVPRO of Farmington will begin extracting and removing water from the facility. 3. 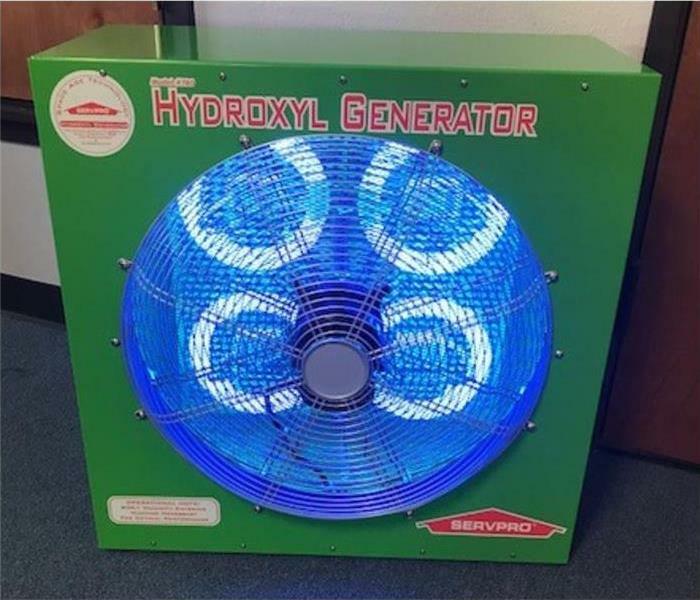 Drying: SERVPRO of Farmington will place drying equipment throughout your facility. Each day a member of our team will check on the progress until the structure is completely dry. After the drying stage, SERVPRO of Farmington can provide Reconstruction to your facility. We are able to reconstruct your facility and return it to make it look "Like it never even happened." After reconstruction, we will clean all of the affected areas, which will complete the entire process. If you have any questions, do not hesitate to reach out to us at anytime. We are always here to help! When the brand counts reach out to the local company with the large brand name. Call SERVPRO of Farmington so you can count on a local family owned and operated business that has 50 years of branding behind it. SERVPRO of Farmington is proud to be a member of a large family of franchises that believes in helping each customer experience what it means to have their home or business be "Like it never even happened." The team at SERVPRO of Farmington takes pride in being a part of something larger than themselves as they strive to achieve larger goals each day. At SERVPRO of Farmington the brand is where it all started, and a rich tradition keeps the brand and the company strong. As anyone who lives here knows, springtime in Farmington brings beautiful sunshine as well as strong rain and wind storms. With weather that can switch so quickly between the two, it’s important to make sure your home is storm-ready, prepared to handle and withstand unpredictable conditions. It’s always a good idea to conduct a home and ground inspection before weather conditions take a turn for the worst. Things like leaky roofs or windows can be very problematic in the midst of heavy rainfall and strong winds, so checking them and making sure they are all fitted correctly is a critical step to take. Checking for loose shutters and trimming back any trees or shrubbery that may be surrounding your home is another good way to get it storm-ready. Shutters, tree limbs, and other loose debris can get picked up by wind and thrown in any direction, including towards your house. Also inspect any drainage areas near or around your home, clearing them of any debris that may be creating blockage. This will help reduce chances of flooding your property during a storm. Another thing to consider when preparing your home for a storm is what kind of system to have in place that will allow you to communicate with your loved ones and receive weather updates. In some cases, storms can become strong enough to put your cell phone’s service signal at risk, so it’s good to be prepared and have an alternative form of communication in place. And as always, in the event of storm damage SERVPRO of Farmington is here to help. We’re available 24/7 and ready when you need us. Give us a call at (573) 756-5191. Even small water damages have the potential to cause serious structural and indoor air quality issues over time. The key to avoiding costly restoration is to handle every water problem as a real threat to your property. If you have questions or need help to ensure your property, contact SERVPRO of Farmington at 573-756-5191. You have so much invested in your home! Choose SERVPRO of Farmington to protect your most valuable asset! Your home is a reflection of you and makes an impression on all those who enter it. You invest your time, energy, and hard-earned resources to maintain, protect and increase the value of your home. When you need work done on your home, you should expect the very best service at a fair price. That's where SERVPRO of Farmington shines. SERVPRO of Farmington is committed to helping families across our servicing area! Why SERVPRO of Farmington? SERVPRO of Farmington helps families by providing a necessary service. Bereaved families are often unprepared to assume the task of cleaning a residence following an unexpected passing of a family member or friend. Now families have somewhere to turn for help. 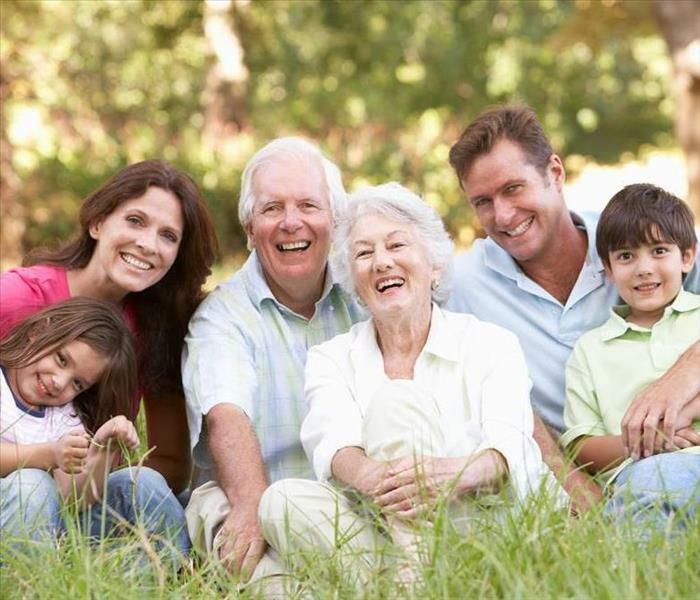 SERVPRO of Farmington is committed to providing a safe and courteous cleanup and restoration services to protect the health of family members and to help preserve their memories of the deceased. SERVPRO technicians follow OSHA and EPA protocols to help transform an unsafe environment back into a clean, safe home or business. Their first focus is always safety, since crime or accident scenes may involve bloodborne pathogens, harmful chemicals, and other dangers. 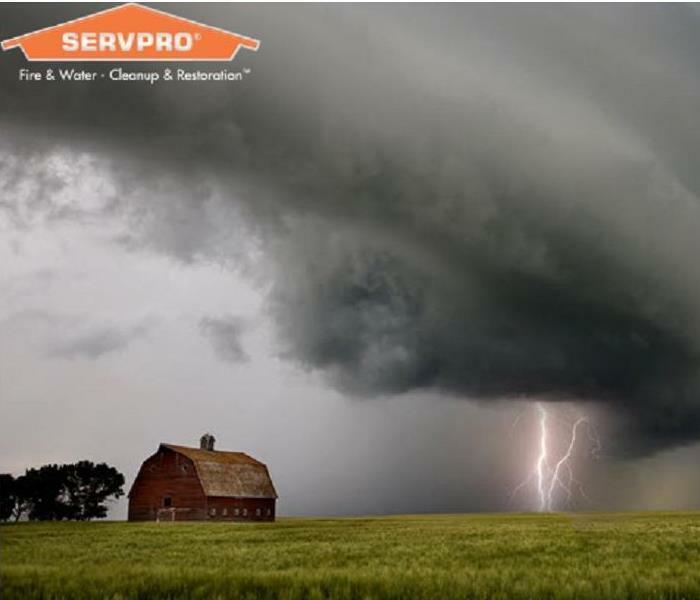 SERVPRO of Farmington will always treat your property and the people involved with the greatest empathy and respect in the face of trying circumstances. We have 50 years of experience and counting! Why SERVPRO of Farmington? After your property has been restored and replacement of materials is necessary, SERVPRO of Farmington provides general contracting services. Sometimes a damage requires more than just cleaning soot or removing sewage. Some damages require replacement of drywall paint, flooring, or even electrical and plumbing services. SERVPRO of Farmington provides many general contracting services to help return your home or business to preloss condition. 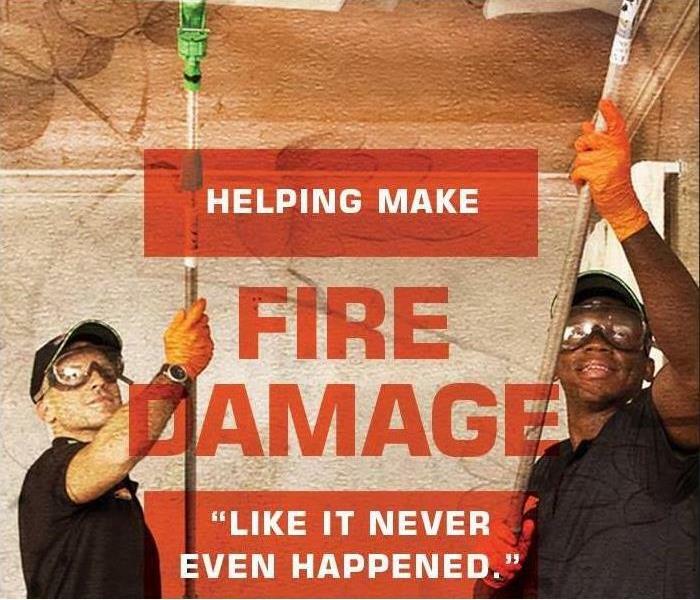 When it comes to helping you get your life back to normal, SERVPRO of Farmington can and will make the damage "Like it never even happened." You may be surprised what SERVPRO of Farmington can do for you. Questions? No problem, call our office anytime! 573-756-5191. SERVPRO of Farmington's mission for each customer is to be the "one stop shop". Our Reconstruction Manager, Greg, is more than happy to help get your property back to normal or even better than it was before. Call the "Cleanup Team" that's faster to any size disaster! 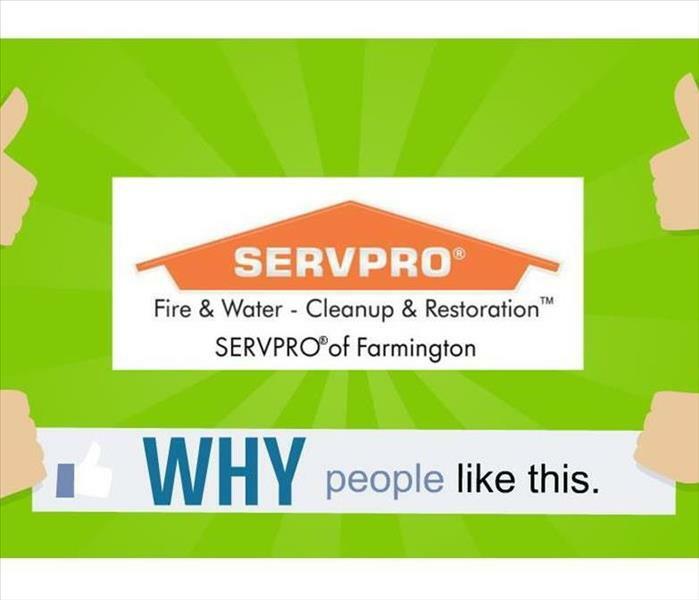 Why SERVPRO of Farmington? Faster to any size disaster. This is not just another catchy tag line for SERVPRO. It is a commitment from each SERVPRO franchise professional to be there when you need us the most. 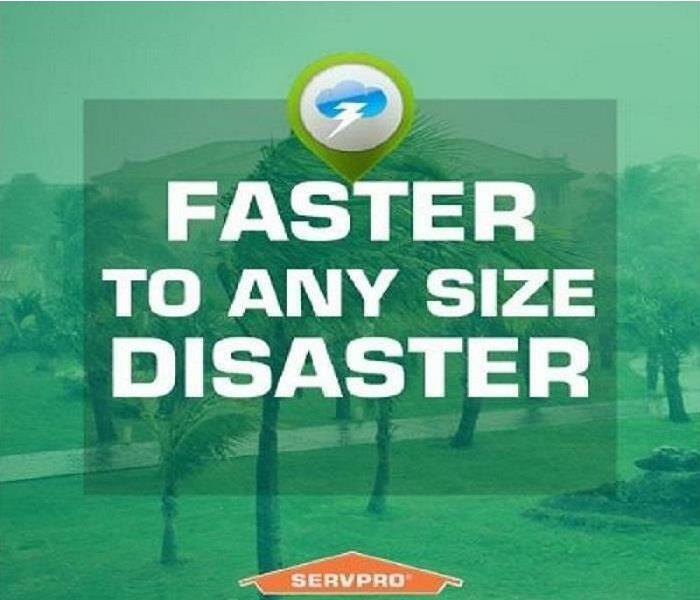 Whether you are a small business or home owner facing minor fire or water damage, or a property manager dealing with a widespread disaster, SERVPRO of Farmington has the resources to respond quickly and efficiently. The sooner help arrives, the sooner the restoration begins and the sooner you can resume life and business as usual. SERVPRO of Farmington is just the tip of the iceberg. If a fire, water, or mold damage strikes, no matter what size, call us 573-756-5191. Backed by a system of franchises more than 1,700 strong, we'll make your property disaster "Like it never even happened." 4/24/2019 - Is Your Farmington Home Storm Ready? 1/21/2019 - Call the "Cleanup Team" that's faster to any size disaster!